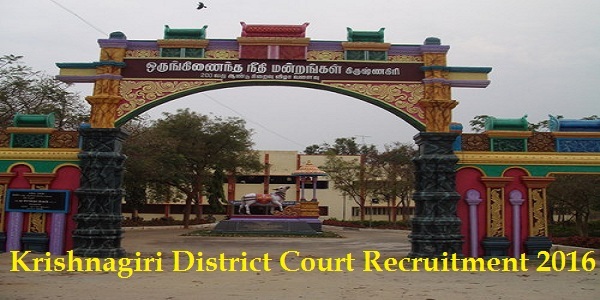 Krishnagiri District Court Recruitment 2017: Krishnagiri Jobs 2017 has announced on their recruitment for unior Assistant, Office Assistant, Steno Typist Grade III, Masalchi, Xerox Operator, Computer Operator Posts. Now you can easily get the application form in the official website. 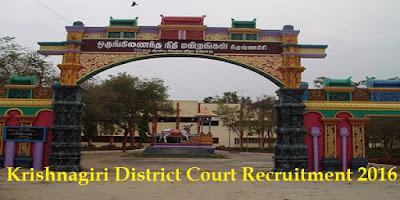 Want to know more details such as Syllabus, Age Limit, Eligibility Criteria, Exam Fee, Application Processes, Krishnagiri District Court Admit Card Date, Krishnagiri District Court Exam Date, Krishnagiri District Court Result Date and Krishnagiri District Court Last Date Details? No you can check below. 2. Get the Krishnagiri District Court Junior Assistant Notification & Application form on their official site. 5. All the application with recent passport size photos affixed and duly self-attested on the right margin of the application in the space provided, as mentioned should be submitted along with self attested copies of all the testimonials, certificates only by post on or before 30-06-2017 at 5.00 PM to the under mentioned address through Registered Post with acknowledgment.